Jože Plečnik was the most important Slovenian architect of the 20th century and was instrumental in shaping the appearance of modern Ljubljana. The renovation and revitalisation of the architect’s former residence began in 2013 to establish a new museum and a new research centre dedicated to the architect’s oeuvre. It has also put in place a regular programme of temporary exhibitions and educational activities for various focus groups, led by the Museum and Galleries of Ljubljana. Following its reopening in 2015, the Plečnik House has enjoyed a radical increase of 130% in its visitor numbers. It is now one of the top tourist sites in Ljubljana. 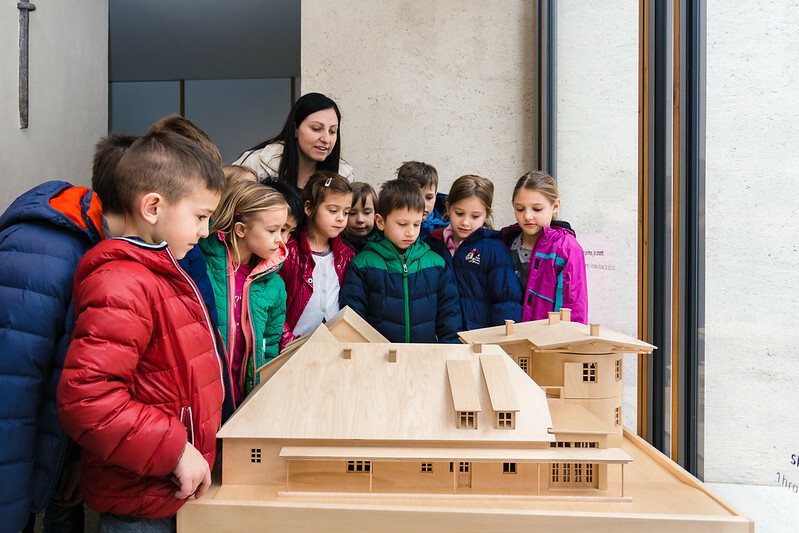 With its museum presentation and active educational programme, the house has revitalised visitor appreciation of the work of Plečnik as well as the history of architecture. The project was funded by the City of Ljubljana and the European Regional Development Fundthrough the Ministry of Culture. The Plečnik House, where Jože Plečnik lived between 1921 and 1957, has been a public museum since 1974, although the museum’s programme was limited due to conservation issues and a lack of space for pedagogical and andragogical programmes. A broader strategy for future museum activities was considered throughout the comprehensive restoration-conservation of the house. The museum’s activities have been implemented following the principles of sustainable development, participation, inclusion, interaction and creativity. The restoration project has also made the museum accessible to visitors with disabilities. “The elaborate educational programme, attached to the conservation of the house, has ensured the existence of a secure learning environment for the continuing education of various target groups of visitors as well as encouraging a broader appreciation of architectural heritage. The social value and benefits of the project are reflected in the integration of various social groups into different activities of Plečnik House”, the jury said. A new permanent exhibition about the life and work of Joze Plečnik was created and activity programmes for various target audiences were designed. Visitors immerse themselves in the architect’s home and working environment, and become acquainted with the architect’s commitment to innovation, interdisciplinarity, intercultural dialogue and sustainable development. The museum has also taken steps to create programmes suitable for cultural tourism. The museum has also been dedicated to increasing awareness of Plečnik across Europe and around the world.The exhibition Plečnik’s Ljubljana has travelled to a number of cities, including weight: Madrid (Spain), Sarajevo (Bosnia and Herzegovina) and Prague (Czech Republic), Berlin (Germany), Moscow (Russia) and Brasilia (Brazil). The exhibition Plečnik and Prague Castle was a collaboration with The Archives of Prague Castle. An exhibition for the Vatican Museums about Plečnik’s sacral architecture and design is forthcoming.